One of the top 10 issues that men and former professional athletes struggle with is time management. Growing up, we are always told what to do, where to go, and when to get things done. Most can’t wait for the opportunity to finally call their own shots, only to discover that the lack of structure only makes things worse, and can find themselves unproductive in management their time effectively. New York Times best selling author, John Maxwell says this about time management, “Time management is an oxymoron. Time is beyond our control, and the clock keeps ticking regardless of how we lead our lives. Priority management is the answer to maximizing the time we have.” Managing what’s most important is more important than trying to manage time. 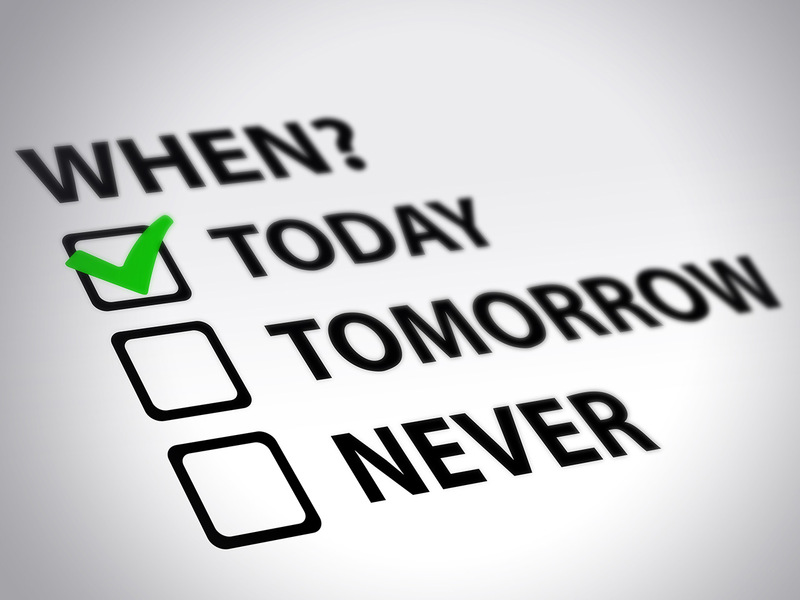 It will help you eliminate or postpone tasks that aren’t important, or is not as urgent as other things. Here are 7 things to help your daily routine. Preparation…Of your mind, spirit and body. Developing a morning routine to prepare your mind, spirit, and body for the day is a great way to jump start your day. Taking time to pray, reading an inspirational article, getting caught up on the news, doing an early morning workout, and eating a healthy breakfast are great ways to get you going. The reality is that life usually doesn’t allow you to do this every day. So instead, figure out what is easiest for you to incorporate on a consistent basis so you can prepare yourself for what’s to come throughout the day. Meditation…On what’s important to you. It can be easy to get caught up in everything you have to juggle every day and not take the time to think about what is really important. Sometimes the best thing you can do in the morning is to give yourself permission to take a timeout to refocus. Basketball coaches do it all the time in a game. When the other team begins to go on a run, and they sense the momentum shifting to the other team, they call a time out. Giving yourself a timeout to meditate to refocus yourself will position you to be more effective throughout your day and not caught up in the current situation you are dealing with. Motivation…Self-Start of passion & enthusiasm for your daily assignment. Mark Twain once said, “The secret of getting ahead is getting started.” Identifying your motivation to accomplish your goals is essential. Many people want to play professional sports, but very few have the motivation to pay the price during the off-season to prepare themselves for the opportunity. The reason why a person is willing to pay the price is because there is an unfulfilled dream or goal that they have in mind that gets them out of bed in and in the weight room. Identifying your dream will fuel you to jump start your day. Organization…Of daily schedule appointments. Many times stress is the result of being unorganized. Creating a system to schedule your appointments is a great way to manage your time. To start with, make sure you block out any important dates for you and your family. Birthdays, anniversaries, kids games, anything that is a priority for your marriage and family. This will keep you from accidentally committing to a meeting or event that would conflict with your family schedule. Make sure you use your calendar consistently when committing to a meeting or event. Also, turn on the reminders in your calendar to help you remember where you need to be and give yourself enough time to get there. Elimination…Of any appointment or request that does not qualify for your focus. Being busy doesn’t mean you are being effective. Assess your schedule and eliminate anything that is not essential, or would take away from you accomplishing a more important goal. Impartation…From your mentor and to protégés. Whose voice is big in your ears? The answer to that question is helpful to know whom you respect. Spending time to allow someone you respect to speak into your life will not only saves you time, but can also prove to be an invaluable resource to you. Also, don’t forget that your voice is big in someone else’s ears as well. Making time to check in on those you mentor or work with is not only helpful for them, but you’d be surprised with how much it helps you as well. Finally, always keep 25% of your day UNSCHEDULED to allow for unexpected interruptions. Plan for the unexpected. It will allow you to stay flexible with your time throughout the day.